How much protein does your body really need to build muscle? Are some forms of protein better than others? Does the time you eat it matter? …and then I want a protein shake, hahah. In all seriousness, I’m often asked how much protein is actually needed for building muscle. Is 1 gram per pound of body weight per day enough? If we eat more, will we build more muscle? Or should we be eating less than that? 1 gram per pound of lean mass, maybe? Is that even more than we need? 400 Grams of Protein Per Day? Seriously? What do you think about protein numbers, types, and timing? Have anything else you'd like to share? Lemme know in the comments below! You may already know this, but I want to give a brief summary just to make sure. In the body, a protein is a special type of molecule that is comprised of substances known as amino acids. Think of amino acids as the “building blocks” of proteins–without the requisite amino acids, the body can’t create protein molecules. Now, there are many types of proteins in the body, and they perform a wide variety of functions ranging from the replication and repair of DNA, to cell signaling (insulin is a protein, for instance), to the formation of tissues and other substances like hair and nails, and more. 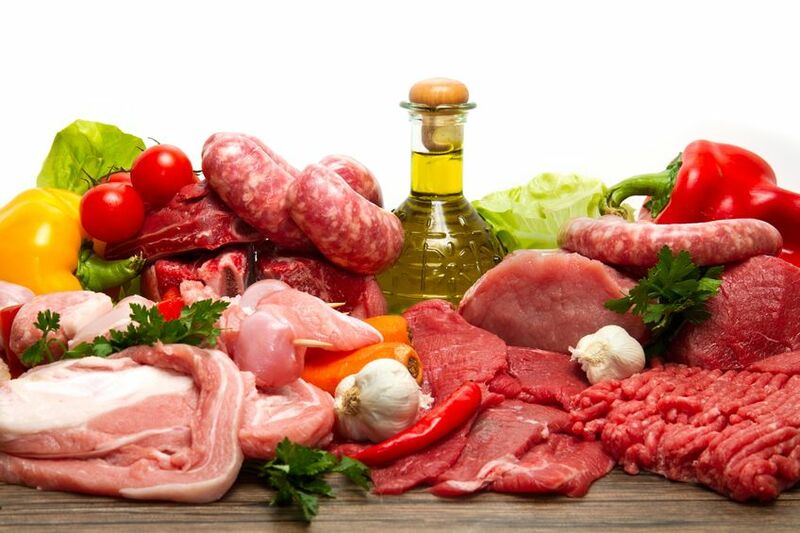 The building of “muscle proteins” (the types of protein molecules that our muscles are made of) requires a variety of amino acids, some of which must be obtained from food (these are known as “essential” amino acids). When you eat a food that contains protein, your body breaks the protein molecules in the food down into the amino acids they’re comprised of, and then uses those amino acids to build its own proteins. If you eat too few grams of protein every day, your body can become deficient in the amino acids it needs to build and repair muscle, and thus, muscle growth becomes impaired. Now, the body has certain protein needs even if you don’t exercise. Remember that every day cells are dying and being regenerated, and this requires amino acids. When you do exercise, however, the body needs even more amino acids to repair damaged muscle fibers and, depending on what you’re doing, grow them larger. This is why athletes need to eat a high-protein diet to maximize performance. How high do you have to go, though? Many years ago, before I knew what I was doing, I was stuck in a rut in the gym, and I thought maybe my protein intake was the problem. I asked an ex-professional bodybuilder how much protein I should eat every day, and he said 2 grams per pound of body weight. I was a bit taken aback–that would mean eating close to 400 grams per day. He was adamant that 2 grams of protein per pound of body weight was absolutely necessary to break through the plateau and start building muscle again, so I went for it. I manned up and doubled my daily intake to reach the 400 g/day number, and, well, it sucked. I was constantly full, beyond sick of protein shakes, and eating in general just felt more and more like a chore. But I stuck it out…and didn’t build any muscle to speak of. Fast forwards to today. I’ve radically transformed my physique since that time, and I haven’t eaten more than 1.2 grams of protein per pound of body weight per day in many years (don’t worry, we’ll get into the numbers in a second). If you’re having trouble building muscle, eating more protein is not necessarily the solution. You don’t need to eat outrageous amounts of protein to efficiently build muscle. The bottom line is maximizing muscle growth does require following what is generally known as a “high-protein diet,” but it does not require choking down pounds of meat and cups of protein powder every day. So, how much protein should you actually be eating to build muscle, then? According to the Institute of Medicine, 10 – 35% of our daily calories should come from protein. That’s not very helpful for us, though. 10 – 35% is quite a range to choose from, and even if we went with 35%, if our daily calorie intake is too low, we won’t get enough protein, and if it’s too high, we’ll eat more than we need. So let’s look at some of the clinical research available on protein needs, and specifically with athletes. First, let’s look at research conducted by McMaster University. According to their paper, protein intake of 1.3 – 1.8 grams per kilogram of body weight (.6 – .8 grams per pound of body weight) is adequate for stimulating maximal protein synthesis. They note, however, that more protein might be needed in the case of frequent and/or high-intensity training, and in the case of dieting to lose fat (restricting calories). 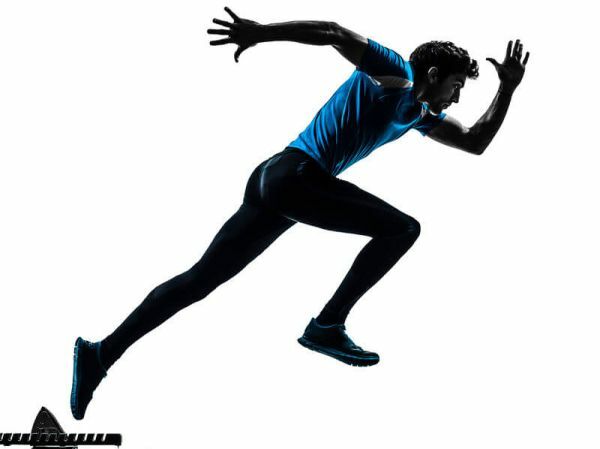 A widely cited study conducted by The University of Western Ontario concluded the same: 1.6 – 1.8 grams per kilogram of body weight might be enough for athletes, but higher intakes may also be warranted depending on a wide variety of factors including energy intake, carbohydrate availability, exercise intensity, duration and type, dietary protein quality, training history, gender, age, timing of nutrient intake, and more. As you can see, the topic is actually quite complex, and there may not be a “one-size-fits-all” solution. “Gym lore” can actually lend some insight here, and it agrees with the above findings. Higher levels of protein intake, usually in the range of 1.2 – 1.5 grams per pound of body weight (2.6 – 3.3 g/kg BW) per day, are commonly recommended when “cutting” to lose fat. I’ve found this to be very true, not only with my body, but with the hundreds and hundreds of people i’ve worked with. As you get leaner, keeping your protein intake high becomes very important. If it drops too low (below 1 gram per pound of body weight, in my experience), strength and muscle loss is accelerated. Oh and in case you’re worried that eating that much protein is bad for your kidneys, don’t worry–it’s not. Different forms of protein digest at different speeds. Some forms of protein are better utilized by the body than others. 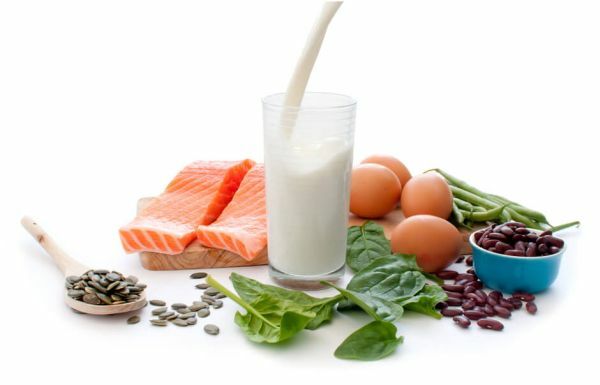 Different forms of protein have different amounts of the essential amino acids our bodies need. Beef protein, for example, is digested quickly and 70-80% of what’s eaten is utilized by the body (the exact number varies based on what study you read, but they all fall between 70 and 80%), and has a large amount of essential amino acids. 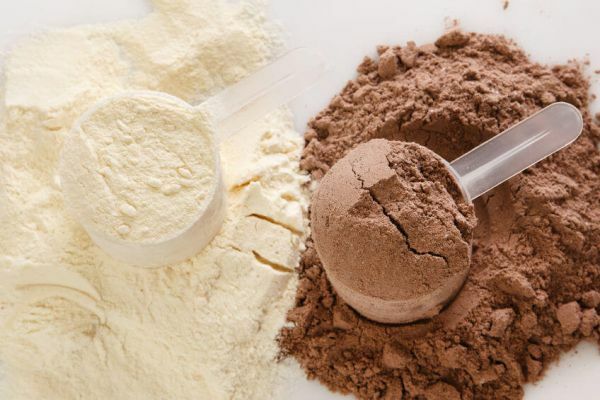 Whey protein is also digested quickly and its “net protein utilization” (NPU) is in the low 90%s, which means that 90-something percent of it can actually be used by your body. It also is high in essential amino acids, and in leucine in particular. Egg protein digests much slower than whey and beef and its NPU also falls in the low 90%s. It too has a great amino acid profile. NPU and digestion speeds are important to know because you want to rely on high-NPU proteins to meet your daily protein requirements, and research has shown that a fast-digesting protein like whey is ideal for post-workout consumption. The bottom line is if you get plenty of fish, meat, dairy, and eggs in your diet, you’ll have no issues with meeting your body’s protein needs. Vegans, however, have it a little tougher. For example, the protein found in peas and rice is superior to the protein found in hemp. I recommend vegans eat plenty of grains (quinoa, and amaranth are probably the most popular high-protein choices), legumes (with all types of beans being the most popular choice here), and high-protein vegetables like peas. I recommend soy be eaten sparingly, for reasons given in this article on protein powders. 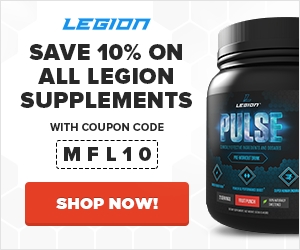 Supplementing with vegan protein powders, such as Legion Thrive, also makes balancing your numbers easier. The last thing I want to quickly touch on is protein timing. That is, when you eat protein. Does it matter? Do you need to eat protein every 3 hours? Is eating protein before or after working out necessary? The frequency of protein intake doesn’t matter, so long as you hit your daily numbers. You’re not going to “go catabolic” if you don’t have protein every few hours, and eating protein more frequently won’t help you build more muscle. If you like to eat 3, larger meals per day with several hours in between each, do that (don’t worry, your body can absorb a lot of protein at once). If you’re like me and prefer more smaller meals throughout the day, that’s fine as well. Having protein before and after working probably does matter, however–it can help you build more muscle. The reason why I say “probably” and “can” is the research is contradictory at this time. Some studies, such as those conducted by Victoria University, Baylor University, and the University of Jyväskylä indicate pre- and post-workout protein consumption does help build more muscle; whereas other studies found no such benefits, such as those conducted by The College of New Jersey and Manchester Metropolitan University. Personally, I eat protein before working out (unless I’m training fasted), as well as after, because I believe there’s enough clinical and anecdotal evidence to support doing so (and so do other smart people in this industry). Eating protein before bed is a good idea as well. Not to prevent muscle breakdown, but to aid in muscle repair. What do you think about protein numbers, types, and timing? Have anything else you’d like to share? Lemme know in the comments below!